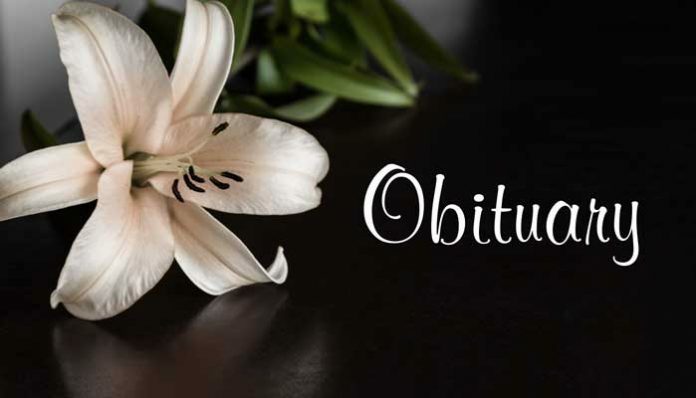 Mrs. Norma Lee Gomez, age 84, of Senoia, passed away Thursday, January 31, 2019. She was preceded in death by her husband, Miguel Gomez and is survived by her children, Susie Boutier and her husband, Patrick of Atlanta, Miguel Gomez of Statesboro, Alicia Sevier and her husband, Aaron of Tyrone, Ana Gomez of Fayetteville, Norma “Cookie” Silva and her husband, Pedro of Peachtree City; grandchildren, Joel, Jessica, Amelia, Jacqueline, Fabian, Elena, and Miguel. A funeral service will be held Thursday, February 7, 2019 at 11 a.m. in the Chapel of Parrott Funeral Home with Dr. Jimmy Orr officiating. Interment will follow at Sharon Memorial Gardens. Those wishing may sign the online guestbook at www.parrottfuneralhome.com. In lieu of flowers those desiring may make donations to Our Lady of Perpetual Help, 760 Pollard Blvd. SW, Atlanta, Ga. 30315. The family will receive friends Wednesday evening from 5 until 7 p.m. at Parrott Funeral Home with a Rosary starting at 7 p.m.